Preheat the oven to 350 degrees F. Coat a large roasting pan with cooking spray and place the ham in the pan. Rub the brown sugar all over the ham, making sure to get it in between the slices. 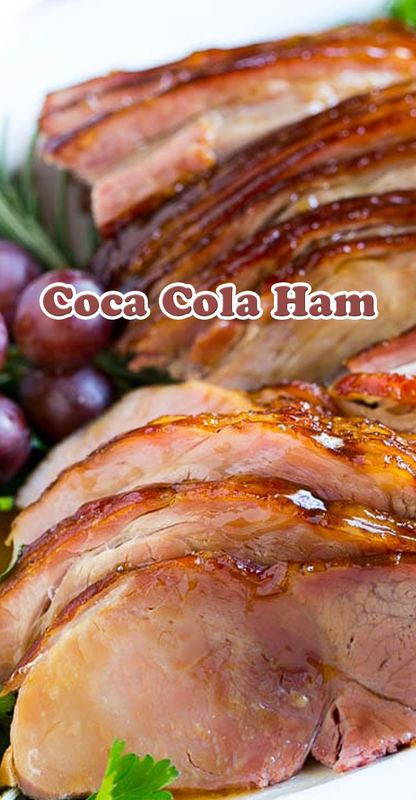 Pour the can of Coca Cola over the ham. Cover the ham and bake for 90 minutes, basting every 30 minutes. Uncover and bake for 30 minutes more or until until ham is browned and caramelized. To thicken the glaze: pour the ham glaze from the bottom of the roasting pan into a small pot and bring to a simmer. Whisk together the cornstarch with 2 tablespoons of cold water. Pour the cornstarch mixture into the pot, whisking constantly. Bring to a boil and cook for 1 minute or until glaze is thickened.